Ability to download the complete project generated with our Cloud Build Service. 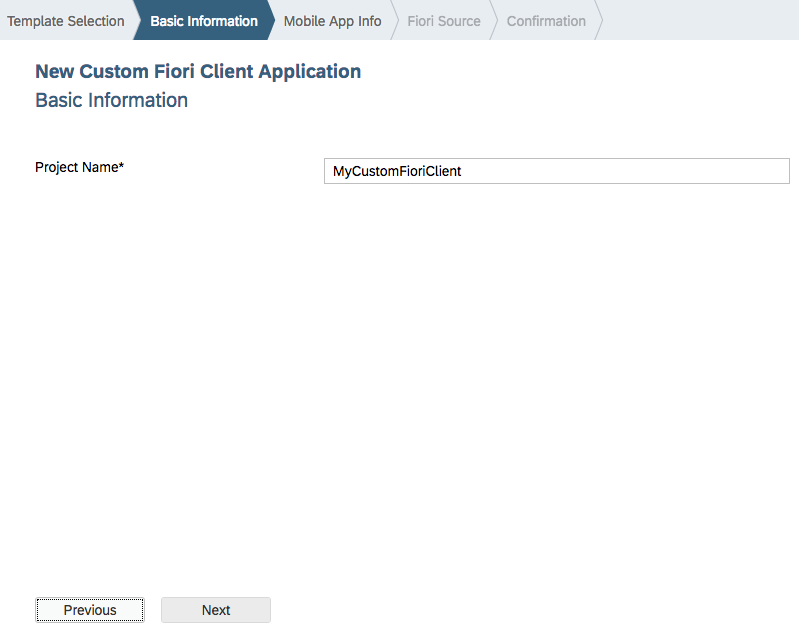 In mobile service for SAP Fiori (formerly known as Fiori Mobile), users had the ability to create Custom Fiori Client apps where you could add the Cordova plugins you needed. We have now added this capability to our developer experience provided in SAP Web IDE Full-Stack. Let’s go through the steps here. To start, we create a new project from a template. 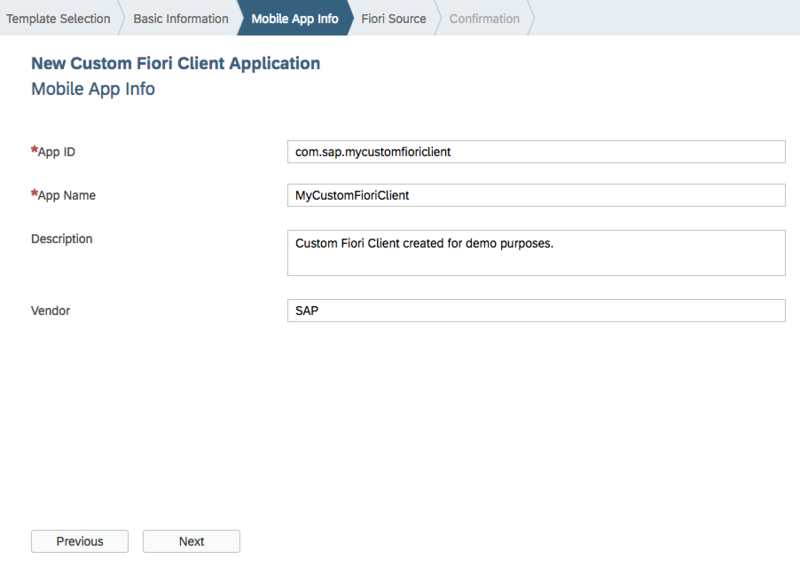 We have added a template called Custom Fiori Client Application. Provide App ID, App Name and some optional details. And finally, provide the Fiori URL. This can be either a predefined Fiori destination that was already created in your landscape, or you can specify the Fiori Application URL manually. 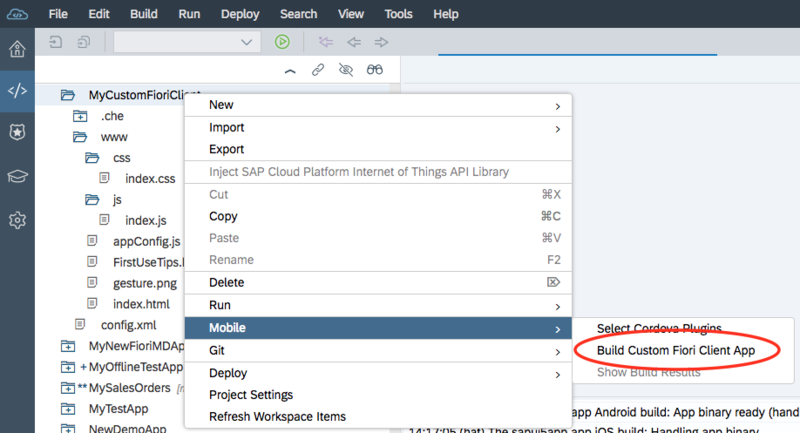 Once you are done with the project creation wizard, you will have your project in the SAP Web IDE workspace. Note: you cannot preview this app, as it is basically an empty container project. Important to note is that you can further customise the project to your needs. E.g. by modifying the config.xml and/or appConfig.js file available in the project. 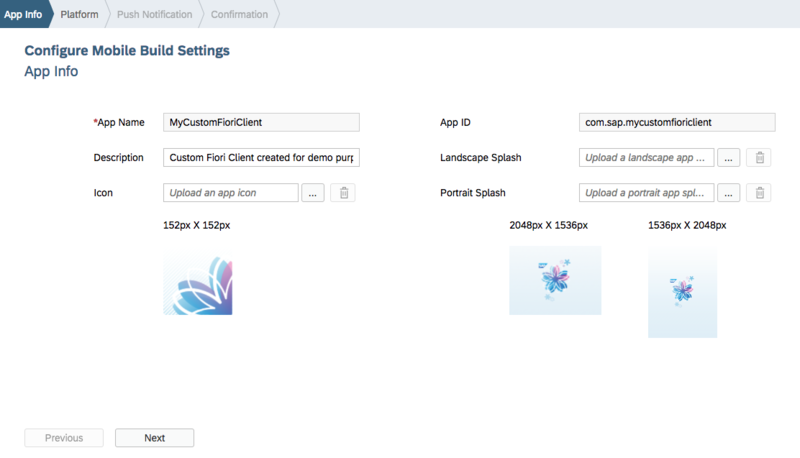 You can now select the Cordova plugins you like to add to this Fiori Client. In this example, I’ve searched for NFC plugins available for both iOS as well as Android platforms. Once your selection is saved, you can trigger a cloud build for this app. Similar to building packaged apps, you can customise the application’s icon and splash screen, and the name as displayed on the mobile phone. In the remaining steps, you can configure the signing profile, build options and push certificate. This is similar to Packaged apps, so I won’t repeat that here. Once the build is finished, a popup will show the QR code to download the app on your device. You can also download the app to your workstation with the link provided. In addition, you can download the project if you had selected that option. More on this topic later in this blog. 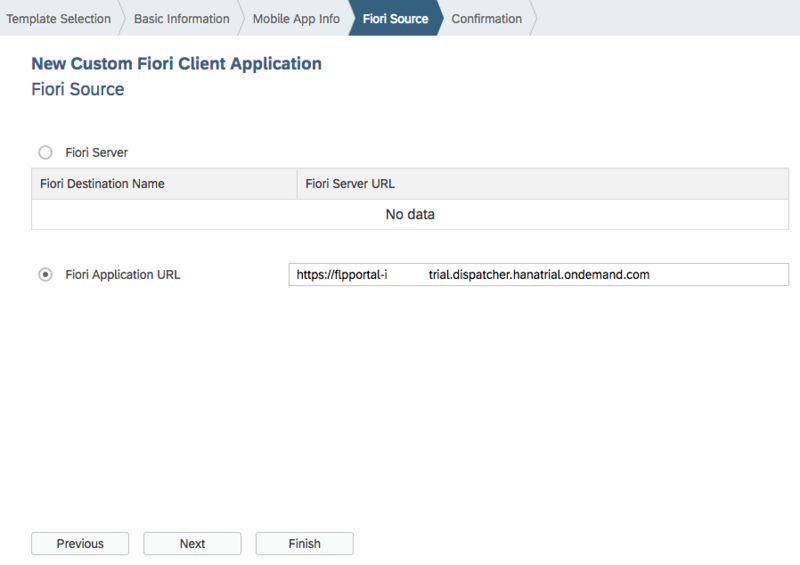 Take note that Fiori Client is a typical online app. It is basically an empty container that loads it’s content (web assets) from the specified URL. This type of app cannot support offline. Hence, the offline plugin is not included in this build. Some users are keen on using controls recently added to UI5. Others want to ensure they have to latest bug fixes from UI5 (such as a fix for apps showing a blank screen on iOS). Our previous release was providing UI5 version 1.50.8 for Packaged Apps, which some consider to be a bit old by now. In this release we have added to option to include version 1.54.6 in the apps. Developing hybrid app in the cloud doesn’t require much to start with. The only thing you’ll need is a web browser. You don’t need to install, update and maintain a local development environment. However, some developers who build apps using our Cloud Build Service, will feel that they’ve lost some control on the project. The project is not built on their workstation and this makes it harder to debug issues that might pop up. We’ve thought about that and can now provide you a solution. You can start building your projects in the cloud, and when you really need to, download the project to your workstation for troubleshooting. By default, the option to save the project is disabled. In the build wizard, you’ll need to tick this option when you really want to save the project. Take note that this will increase the time it takes to build (actually, the additional time is related to storing the projects). Once the build is finished, you will be notified with a popup dialog showing the QR code, the link to the app for downloading to your workstation and now also a link to the project. The projects are downloaded as zip file and can be a several hundreds of MegaBytes in size. Unzip the projects in the folder of your choice. For iOS apps, you simply load the project in XCode. 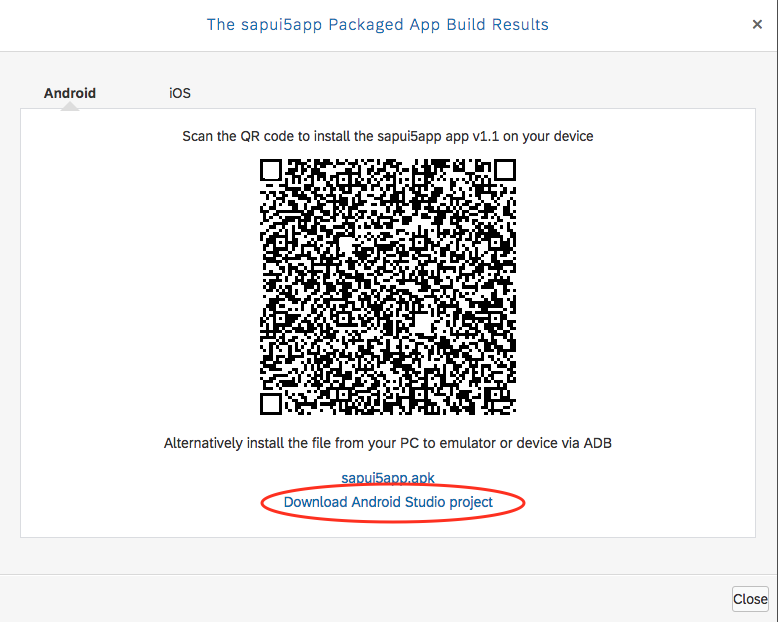 For Android apps, you load the project into Android Studio. 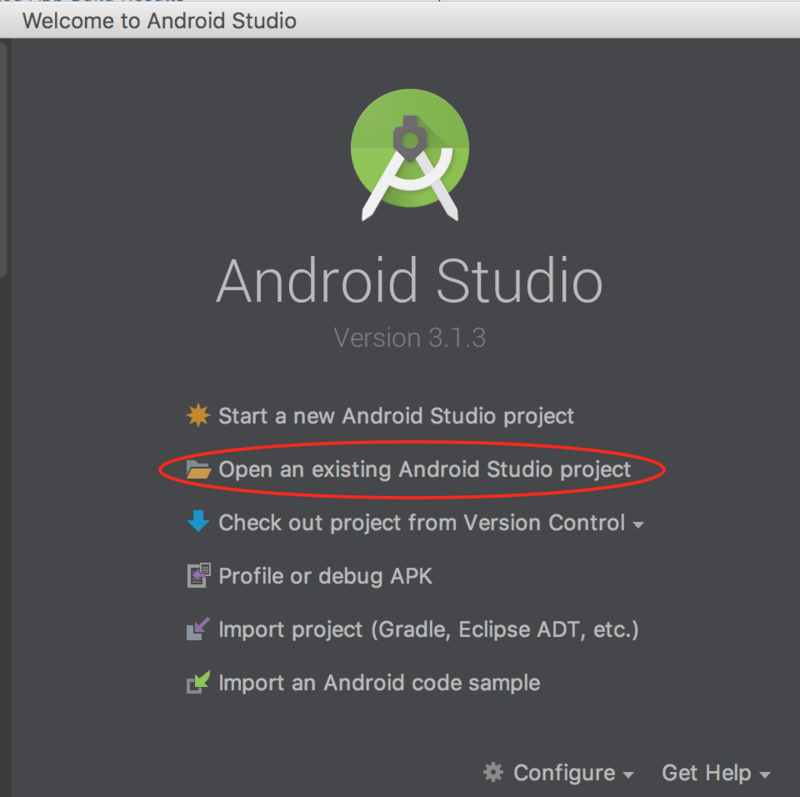 To open the Android project in Android Studio, open Android Studio and select to open an existing project. Next, navigate to the folder where you have extracted the downloaded archive and select the android folder in the platforms folder. 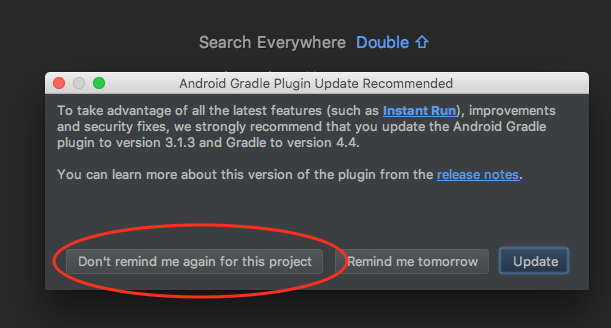 When Android Studio recommends to update the Android Gradle Plugin, please do NOT update. Once our cloud build utilises the latest Mobile SDK, this will no longer be required. Once the project is loaded, you can build the app to run on your device or emulator. Note: if you are using a trial account, downloading the project(s) and the apps can take quite a bit of time. The reason is that trial accounts are hosted in Germany and depending on your location, network bandwidth influences the download times significantly. By providing you a means to continue your development locally on your workstation, we have reached a point where we can move the HAT local add-on into “end of maintenance”. I’ve informed you about our plans in this blog. We will evaluate your feedback on this 1807 release and decide when to officially call for this end of maintenance. 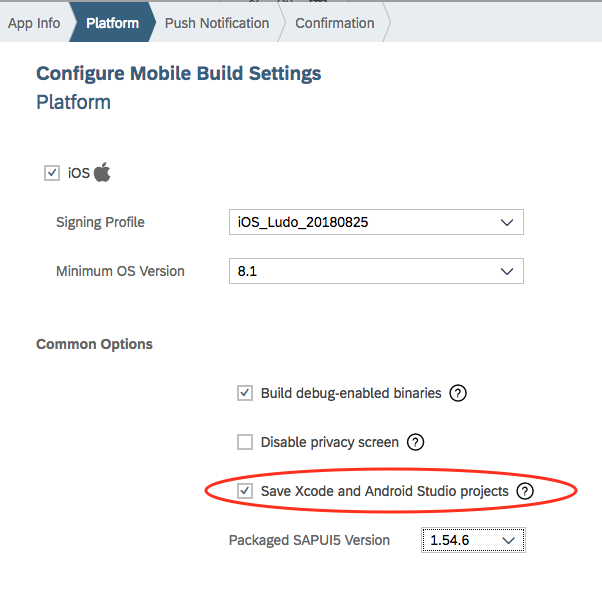 This error indicates that you already have an app in SAP mobile service using the same App ID. Please make sure you enter an App ID that is unique. The issue was with browser cache as it stored the error. I reloaded the browser & its working fine. this problem still seems to occur, even with clearing the cache and without having another mobile service with the same App ID. We tried it on different Web IDE Full-Stacks and it always prompts this error message. You cannot add plugins in SCP mobile services. hello Ludo, I have a problem whit the version 1.29.7 of SAP_HAT_LOCAL when I want to add a platform android in cordova , I think because of versions are not compatibles . so I want to download the latest version of SAP_HAT_LOCAL but I couldn’t find the .zip to download it . please can you help me to resolve this problem . hello everybody , I have a problem whit the version 1.29.7 of SAP_HAT_LOCAL when I want to add a platform android in cordova , I think because of versions are not compatibles . I work with SAP_HAT_LOCAL 1.29.7 , so can u please tell me what are versions of (node , npm , cordova must I work with)?? We have validated the local add-on based on node version 5.4.1 and Cordova 6.5.0, with Mobile SDK 3.0 SP15. If you run into issues with bower, please update bower (npm install -g bower). If you are wondering whether these versions are kind of dated: they are; and no, we have no plans to update. More on that in an upcoming blog post. thank you for your help , that helped me to resolve the problem , after install the HAT now I have problem when I want to deploy application in preparin hybrid application toolkit . Are you able to run the command “kapsel -v” on the command line ? I resolved the problem by creating an application in the service development & operations , and after that I created an application in web ide in the same package . So I deploy the application in preparing hybrid application toolkit and I run it with the device mobile . Even I am facing the same issue. 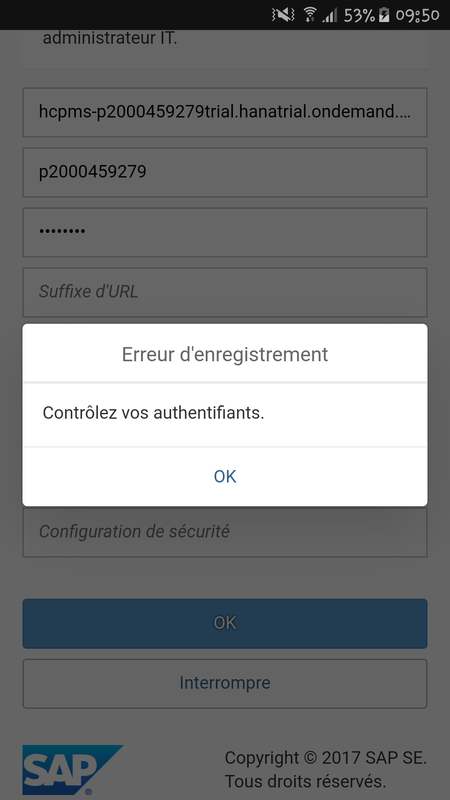 When I run the app in my device, it says “Please check your credentials”. I am not getting Custom Fiori Client in In selection Category. Im using full stack sap web ide tril version on sap cloud. pls help me for find this. Thank Q Mr Ludo Noens for prompt reply. Its working fine,Now am able to select custom SAP fiori client. Is 1.297 the latest release of the HAT because I can’t find the zip file for the 1.31 version. Also when I look in the SAP web IDE full-stack, they speak of a HAT version 1.31.3. You also speak about the 1.31 version in this blog but in the comments you say that the latest version is the 1.29.7. Can someone say what the latest version is and if there is a newer version than 1.29.7, give a download link because in the sap store I can’t find any product versions of the HAT. HAT is released as multiple components. The version number visible in SAP Web IDE is the version of the feature available there. What you are referring to is a zip file of the HAT local add-on, for which the version number is not in sync with the SAP Web IDE feature (previously known as plugin). Version 1.29.7 is the latest version. UPDATE 11 Jan 2019: we have published the LAST and FINAL version of HAT local add-on, version 1.29.8 on the SAP Store in December 2018. We will also proceed to REMOVE this package from the SAP Store. Could you please help me with the below questions. 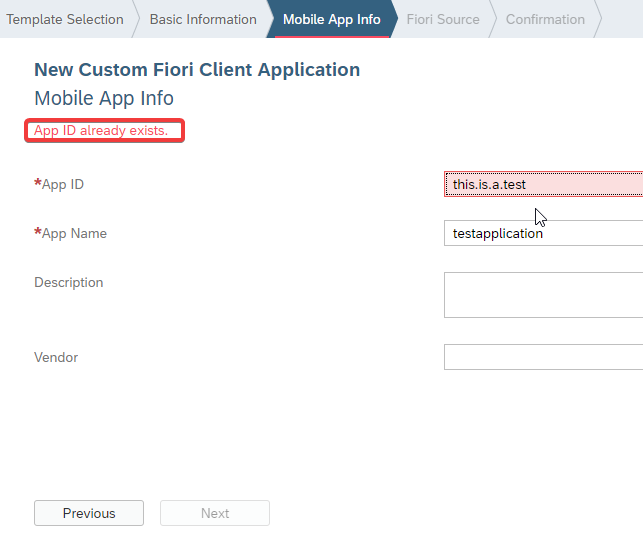 We are suppose to use On-premise (SSO enabled) FIORI launchpad for push notifications on FIORI client using SCP Mobile services for getting push notfications and also to navigate into the Notification workitem on FIORI client. 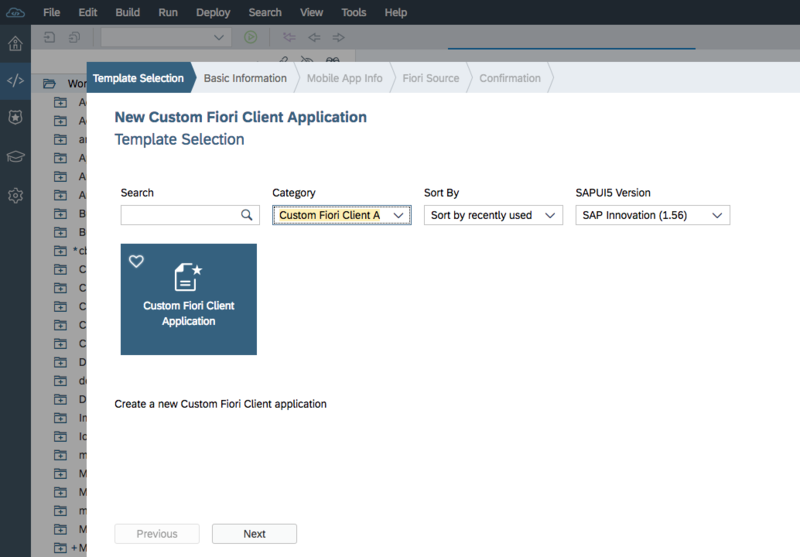 For this case can the Custom FIORI client template in this tool is helful to get all the solution build? Should we use any other approach to build the same. 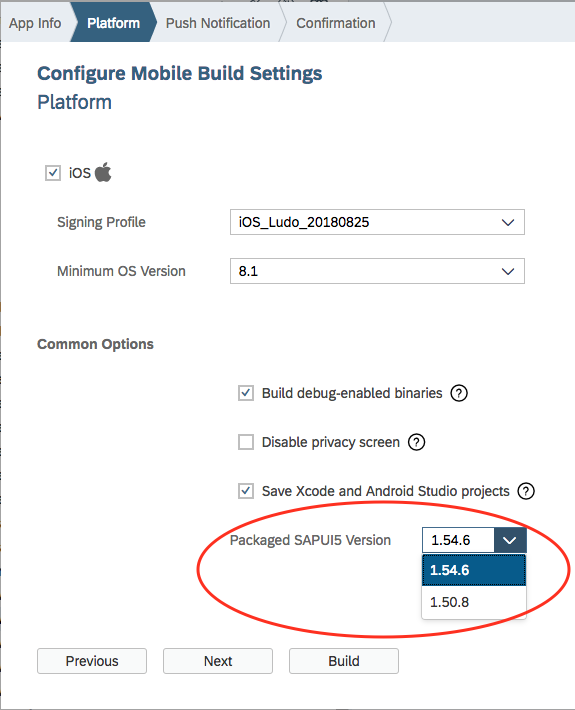 Expectation is that we will send the notification calls using Rest API from backend which should come into the FIORI client built on SCP mobile services. Kindly put your pointers. Do any customization needed or just using cloud build (without plugins) suffices this requirement. Yes, this is possible, assuming you are using SAP Cloud Connector. Since we are exposing all relevant source code in SAP Web IDE, you can customize the Fiori Client to your specific needs. Just use cloud build and configure push notifications in the build wizard. That’s it.